BarSociety helps bars keep track of their inventory quicker than traditional methods, allowing inventory managers to end work several hours earlier, every day. 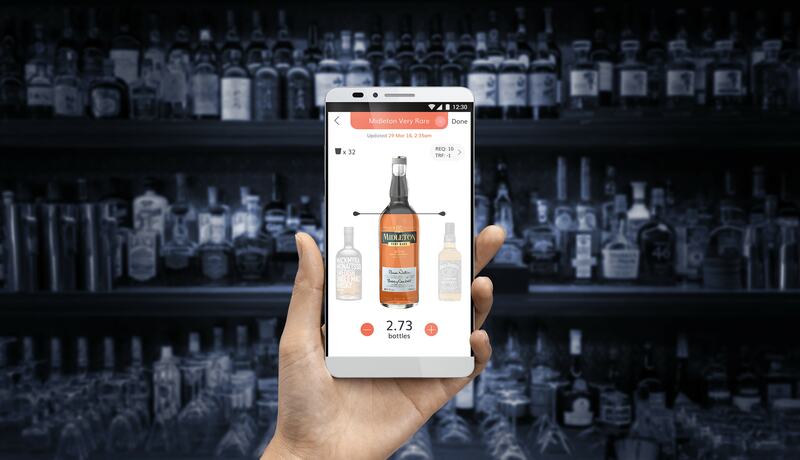 The labour-reducing innovation makes use of in-app digital scales to record beverage levels instead of the common practice of using a multitude of custom-shaped bottle rulers. This digital product which also serves to connect the bars with customers was given a makeover to take the startup beyond a Minimum Viable Product. On top of an iconic branding identity, which was well-received by partners and investors, we also revamped the UI/UX of the company’s two software offerings. Happy customers of BarSociety range from 5-star hotel bars to major hospitality groups and popular night clubs, including Bar on 5 at Mandarin Orchard, 1-Rochester Group, and Attica Singapore. Targeting high-end bars and the luxury market of custody bottle owners, the logo was designed with an intelligent and subtle touch, integrating the bottle silhouette into the serif letterform of ‘B’. This helped position the startup’s brand squarely inside its market segment. The redesigned logo was part of the Startup Makeover programme done for BarSociety. 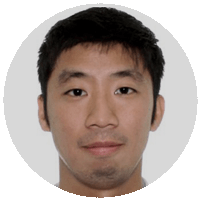 The Minimum Viable Product (MVP) version of Barsociety was founded on solid fundamentals and technology that solved real logistics problems. 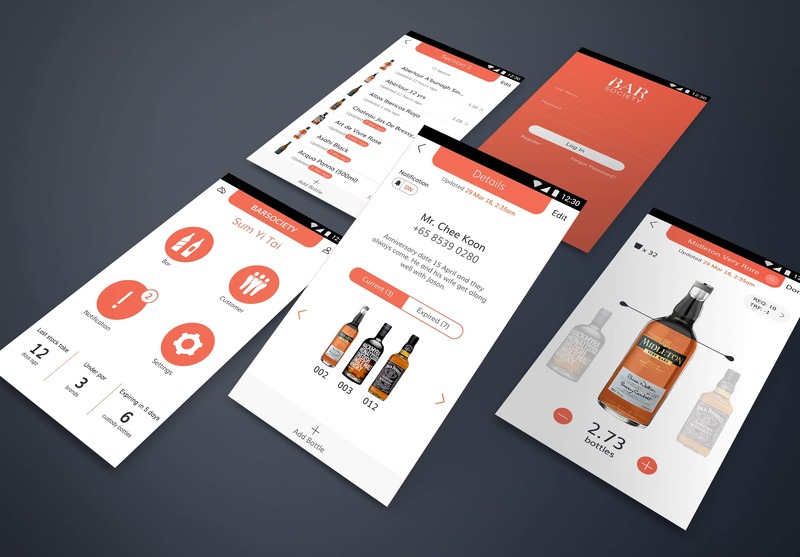 As the product gained traction during customer trials, the Barsociety team judged that it was the opportune time to invest in an aesthetic upgrade to take their product – which already had a good functional fit with bar businesses – to the next level by pushing the visual and user experience frontier. 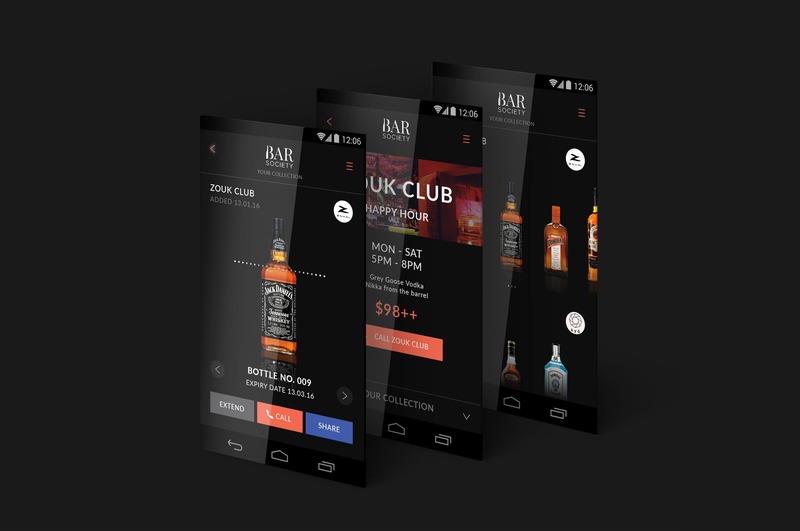 The BarOS app makes it easy for bar owners to handle their operations and logistics while the BarSociety web platform attracts users with its luxurious and classy appeal.